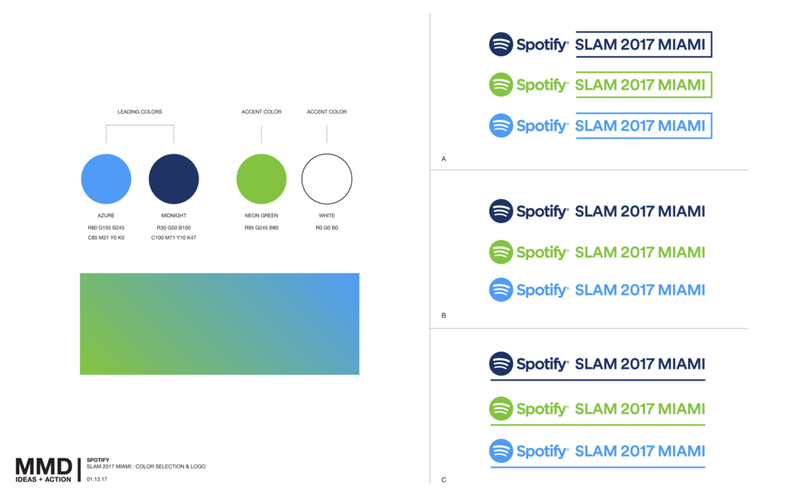 For Spotify’s annual Strategic Leadership and Marketing summit, MMD created an on-brand movable kit-of-parts that could be quickly set-up in the Miami Fontainebleau’s conference rooms. 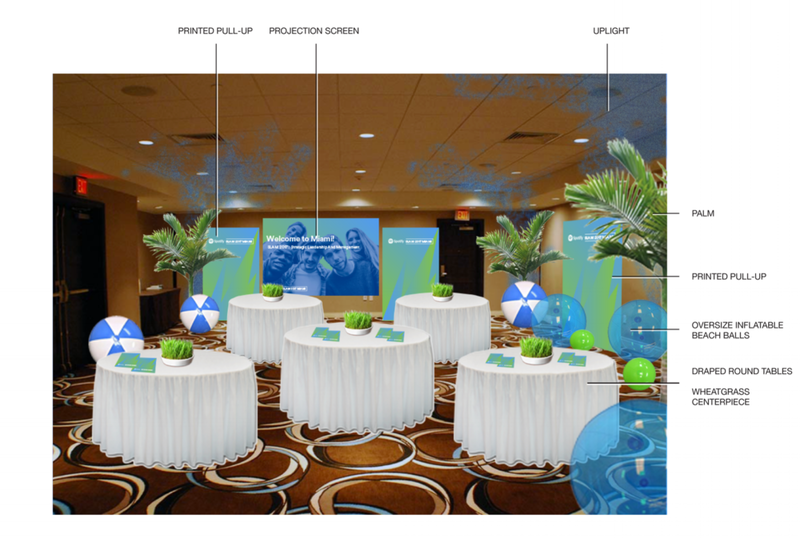 This spaces were complimented with multiple digital Powerpoint files using the event graphic and color theme. 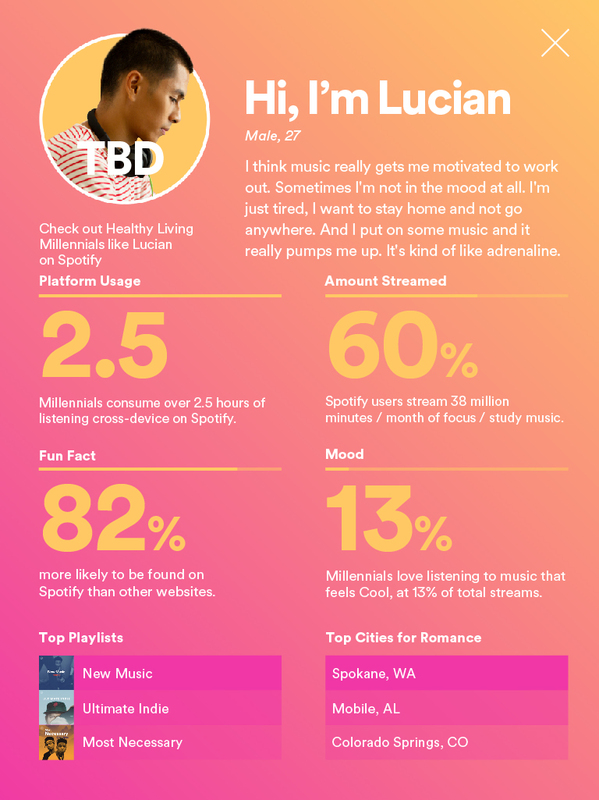 For Spotify at CES, the Consumer Electronics Show in Las Vegas, MMD helped create data visualization plinths, which acted as a key touchpoint within a larger sound experience. The brand needed to showcase key demographic and user information stylishly and effectively as part of their outreach to various brand partners. MMD processed the raw data with unique visualizations to humanize the information and create short, compelling narratives surrounding a range of users.